Cognitive skills will be developed. Video games such as shooting drills and simulation games promote and develop a wide range of cognitive thinking which mainly includes accurate and fast decision-making skills. Along with quick thinking, shooting games improves the brain-hand coordination. Brain sharpening games including puzzles and memory games largely impact the logical reasoning skills of the player. Multiplayer games played using LAN servers which can connect any number of players within a confined area. For those children who are extremely introvert, a platform like this helps them to interact with numerous types of people on chatbots and break the social awkwardness. With cut-throat competition among the present youth, students are increasingly confined to stay within four-walled rooms and made to join coaching institutes at an early age. Video games hence pave the way for such students to release their stress and freshen up their minds. Famous games like DOTA, COD, Clash Of clans encourage youth to play in groups forming either their own teams or connecting with different people worldwide. Such multiplayer gaming sessions which incorporates the efforts of each and every player leading to the combined victory. This coordination requires lot of teamwork. Adolescence and children tend to get emotionally attached with certain kind of games which in turn results in risk of aggression and violence in them. They become extremely touchy about small issues and don’t accept defeat easily. A sense of sportiness becomes absent in such game addicts. Too much addiction can lead to negative results with the instant drop in academic grades. Late night gaming sessions consume a lot a time once it gets addictive and thus, children find it hard to cope up with the studies in school and tuitions. Spending too much time in front of screens leads to weak eyesight and chronic muscular as well as postural disorders. Apart from this, children catch a habit of eating their meals in front of computer screens. This, in turn, leads to obesity and lethargy. 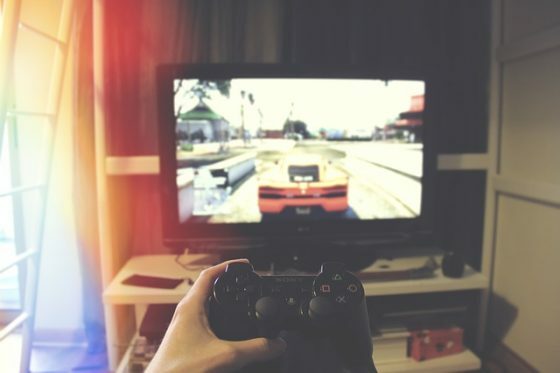 Around 5-6 hours are spent playing video games on PS4 and Xbox, eats up the time which can be used by children playing outdoor sports, socializing with the real world. This, later on, leads to awkwardness in social gatherings and get-togethers and students are good at public speaking and have stage fright which inhibits the personal growth of a child. Games like Blue Whale became an addiction which spread across countries like Argentina, Bangladesh, Saudi Arabia. Reports showed suicide of a 13-year-old child who used his PlayStation wire as the final challenge of this game. One can say that nothing is better than gaming done with mindful involvement. Parents must take careful measures to control such addiction which sometimes leads to admitting their children in rehab centers. So gaming done in a cheerful environment is the best past time children can have.